The American flag is one of the most recognizable symbols of the United States. It stands for freedom and independence and it is well known around the world. This U.S. flag history quiz will test your knowledge from its early days during the American Revolution to today's etiquette. 1. 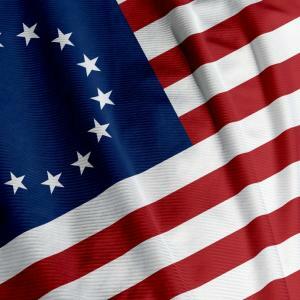 It's a well-known fact that Betsy Ross likely created the first American flag. However, this wasn't her real name. What was it? Trick question! Betsy Ross was her real name.